Teens are almost expected to initiate or be the victim of backstabbing. Mean Girls, the movie, was 't far off from reality. Back biting, slander, and betrayal are all too familiar for teens, but backstabbing or any form of aggression, such as physical bullying or verbal bullying, can have both long-term and short-term effects on victims. Relational aggression, that is aggression towards people familiar to you, such as a close friend, or family member has specific effects on victims. The betrayal happens when an individual feigns friendship with another but behaves in an underhanded or unfriendly manner behind their back. Does your tween show signs of smiling in people's face, only to talk behind their back? If so, keep the victim in mind as you teach your teen how to control their aggressive behavior. Victims of backstabbing and other forms of relational aggression experience higher rates of mental health issues. For one, they are more likely to feel depressed than their peers. Victimized tweens also experience higher levels of anxiety. Talk to your tween about how disloyalty affects everyone. Explain the issues of depression and anxiety and if problems arise, in school, home, or in a different social setting, it's important to point out how wrong backstabbing is. Otherwise, people will get used to the behavior and it will become normal to say mean and hurtful things. If you witness back biting, or consistent two-faced behavior from your tween toward their close friends, call it out in private and try and get to the bottom of why it is happening. One form of relational aggression is social exclusion. This technique shuts a tween off from her peers, causing an increased sense of loneliness. These lonely feelings sometimes persist years after the aggression has stopped. Continued isolation can create an aversion to social events and social settings that promote friendship. 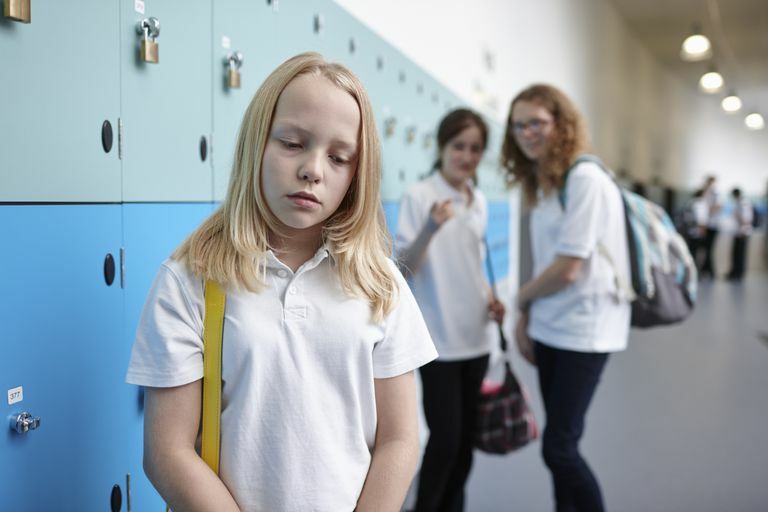 If a tween has experienced being backstabbed, they may stay away from certain social interactions, but in fact, staying away more create a harder time for victims long-term resulting from being alone regularly, making it impossible to find and cultivating creating new friendships. Relational aggression, including backstabbing, can also affect self-esteem. Victims think that they are less attractive, are more poorly behaved, and are less appealing romantically than their non-victimized peers. These findings are particularly pronounced in girls. Partly due to their lowered self-esteem, victims of relational aggression often resort to self-abusive and risky behaviors to manage their emotions. In particular, tweens who have been a target of relational aggression have higher rates of smoking than their peers. They also may be more likely to consider suicide, especially if they are a victim of social exclusion. If your tween's circle of friends has evaporated quickly, or he or she is removing herself from a group of friends, talk about why and how things can be handled. If your tween doesn't have a forum to express herself and be heard, she may harm herself to get attention. Being a target of relational aggression can also cause long-term social problems. Due to their negative past experiences, victims may have a hard time trusting others. This is especially the case for girls, who tend to feel more damaged by social aggression than boys do. Avoidance of the problem, however, will just make it worse. Work toward keeping your tween active socially so that they will not suffer social apathy as they grow into adulthood. Archer, John, and Coyne, Sarah. An integrative review of indirect, social, and relational aggression. 2005. Personality and Social Psychology Review. 9, 3: 212-230.